Finding service opportunities is easy once one knows where to look. 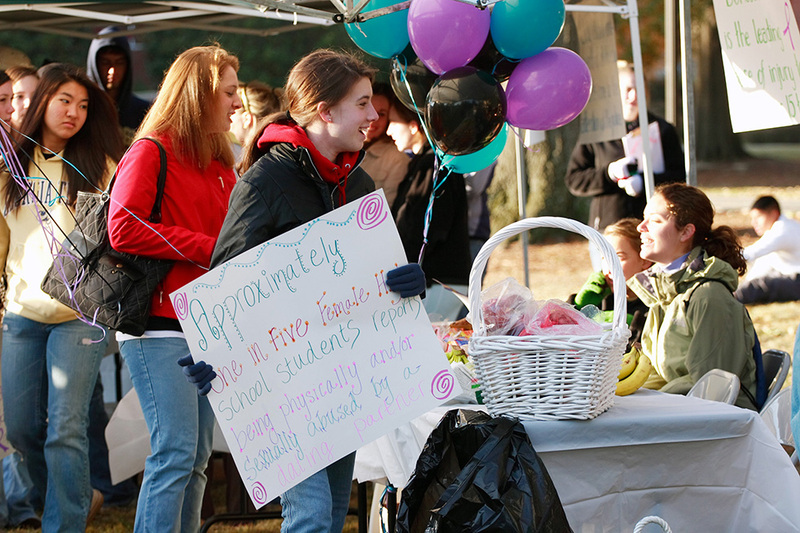 There are plenty of organizations on campus that are solely dedicated to service. Tech has several chapters of service organizations like Habitat for Humanity, UNICEF, Red Cross and alternative service breaks every fall break and spring break. There are plenty of service opportunities in each organization. Just like any other Habitat for Humanity, the Tech chapter has several events per semester. It is a great opportunity to volunteer to see the effects of one’s work. There are also service opportunities at The ReStore. Students can donate gently used items or shop for them. Volunteers are also needed to keep the store running. For more information, students can go to habitat.gtorg.gatech.edu. The UNICEF organization on campus educates, advocates and fundraises for issues important to the main organization and even does service together a group. To learn more about issues around the world and what to do about them, like the Syrian Refuge Crisis, students should focus on this group. Their Facebook page is UNICEF at Georgia Tech. The Georgia Tech Red Cross holds blood drives several times per semester. Students can get involved by helping them organize each blood drive or by giving blood. More information about the Tech chapter is located at redcross.gtorg.gatech.edu. If a student feels that none of these sound like anything he would be interested in or he would want more of a community with which to do different types of service, then MOVE might be the answer. MOVE is a Georgia Tech student-founded and student-led organization that provides a myriad of community service and volunteer opportunities. Made of 14 committees, consisting of everything from helping the homeless to tutoring, there are unlimited and ever-expanding options with this organization. They will get newcomers plugged and involved with other student from Tech. Go to movegt.weebly.com and sign up for the newsletter, which advertises weekly opportunities, and discover whatever committee sounds the most interesting. These are just examples of service organizations; there are also service fraternities on campus — namely Alpha Phi Omega and Lambda Sigma. Lambda Sigma is an honor society open to sophomores dedicated to service, both on campus and around Atlanta. Alpha Phi Omega is a co-ed fraternity open to every year and every major. Students can find out more about both of these organizations on their Facebook pages. In addition to all of these service organizations, most organizations, be it a Greek organization or a campus ministry, have service opportunities. The Christian Campus Fellowship (CCF) is a Christian ministry on campus that has weekly service event open to the entire Georgia Tech community. Students can tutor children at City of Refuge, knit squares for blankets, or serve dinner in Grant Park. Students can find out more about these opportunities and more at gtccf.org/events/compassion. If students are not satisfied with any of the opportunities on campus, living in the middle of Atlanta provides plenty of opportunities off-campus. With the Atlanta Food bank, located only six minute from Tech by car, students can help sort through food and make boxes for families in the community. In the warmer months there is also the opportunity to work in a community garden. The Atlanta Mission is another organization and is near campus. This organization works to end homelessness and there are a variety of services students can work with to help. Students can tutor with Gigi’s Playhouse or Cristo del Rey or serve food at a Ronald McDonald House. They can play games with elderly folks at the Lutheran Towers. If all else fails, they can google whatever they want to do + Georgia Tech or + Atlanta. There are endless possibilities, all of which are far more rewarding than watching Netflix while procrastinating on homework.